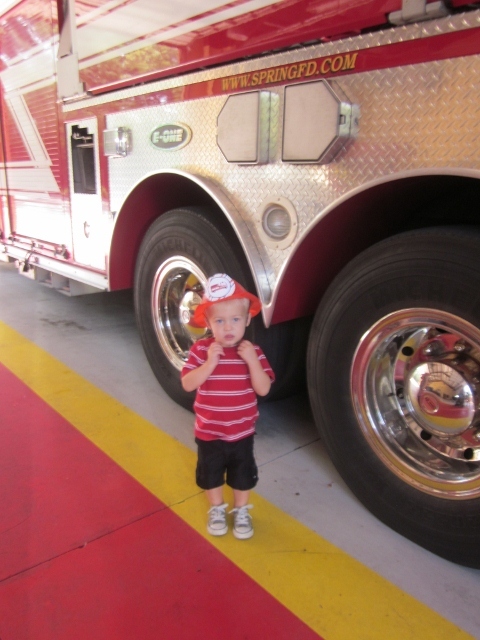 Move over Elmo - It's Bram's World! Getting "Fired-Up" to turn 3! 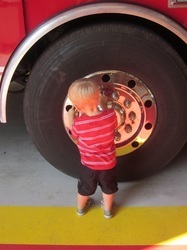 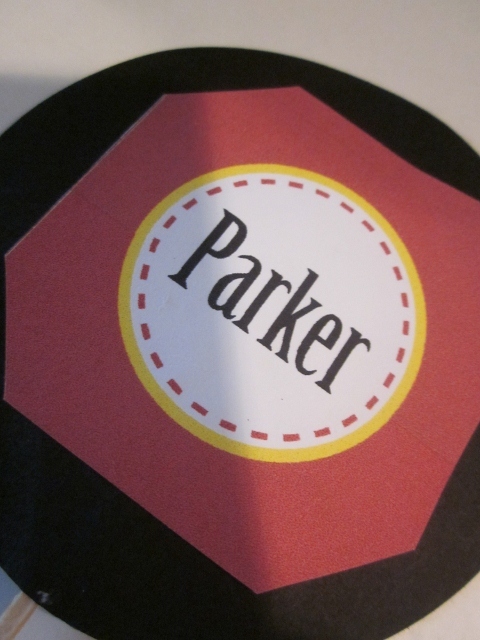 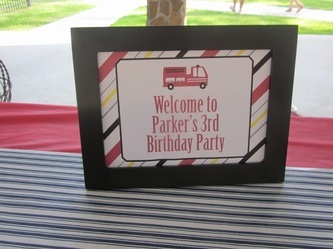 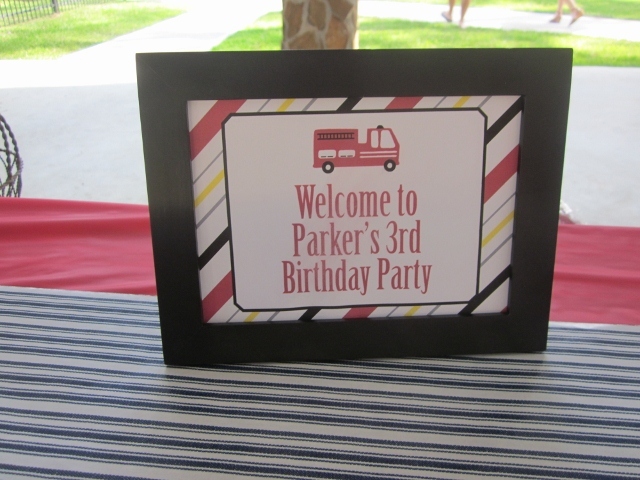 Parker's 3rd Birthday Party started at the local volunteer fire station. 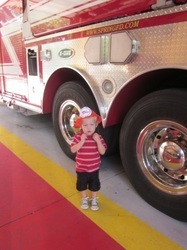 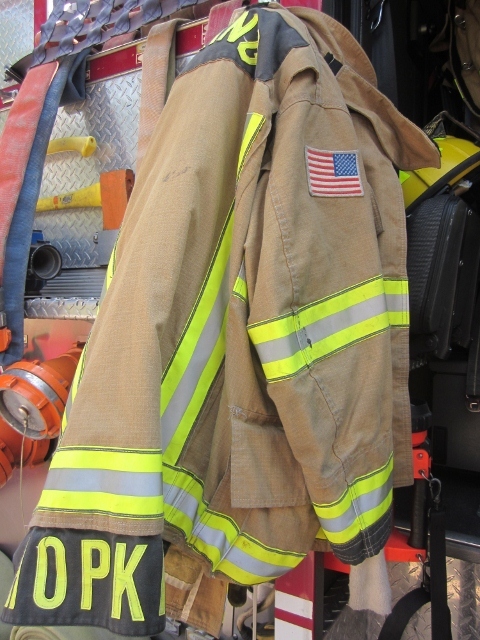 Fire Hats were provided for all the children to wear while exploring the fire engine. 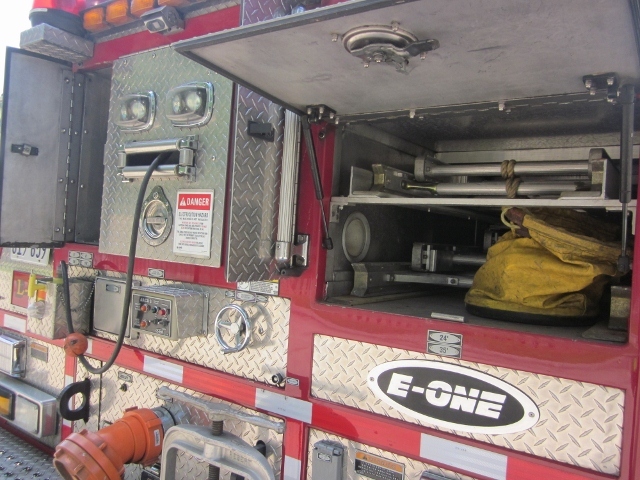 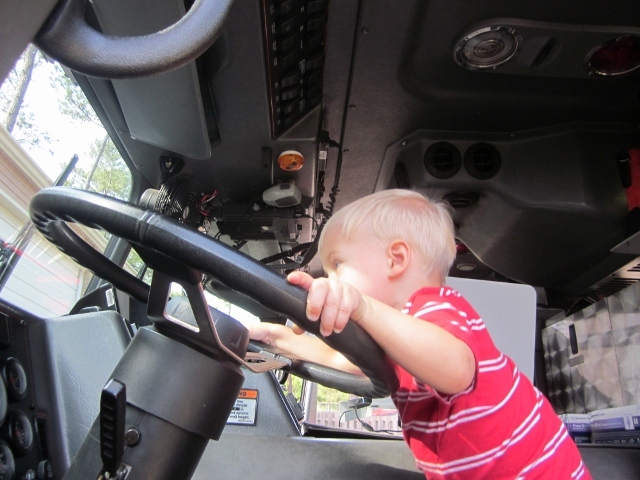 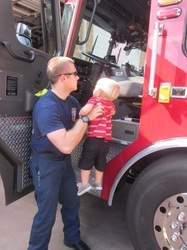 The Fireman were great - they dressed in full gear, posed with the children and let them crawl all over the truck! It was definitely a day those kids will never forget! 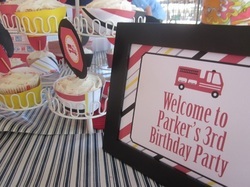 After visiting the Firehouse, everyone was invited to the pavilion next door for pizza and cupcakes. 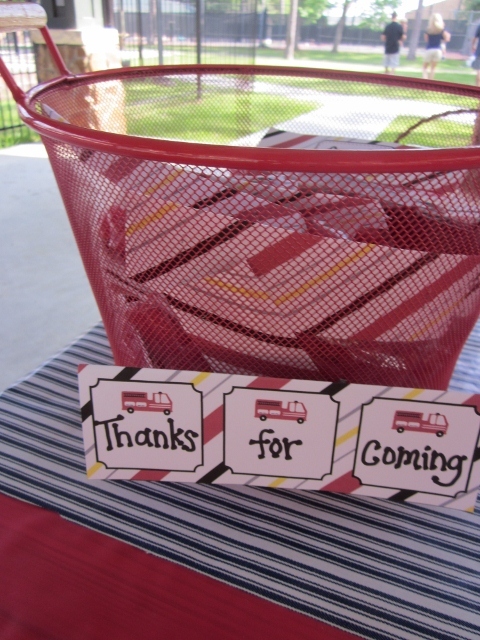 The picnic tables were decorated with red paper and accented with navy and white stripes. 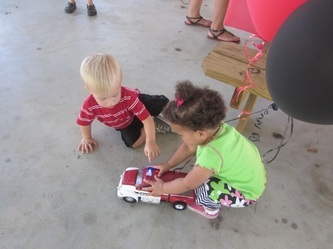 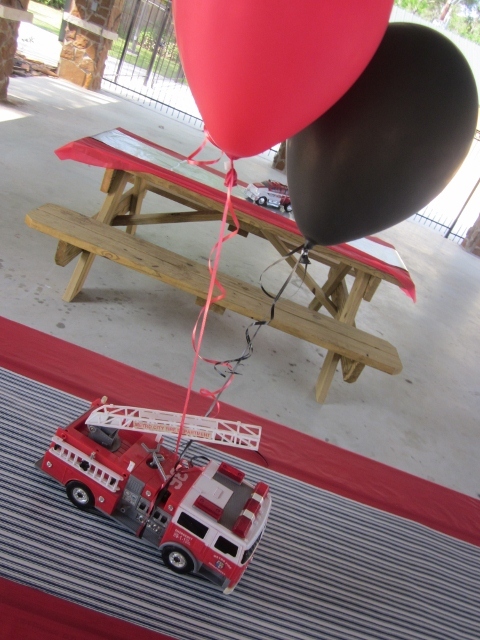 Each table was topped with a different fire truck plus red and black balloons - this was a hit after the party - all the kids were playing with the trucks! 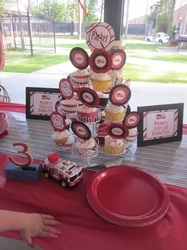 The dessert table was adorably decorated with cupcake stand, mini fire truck and lovely little "3."